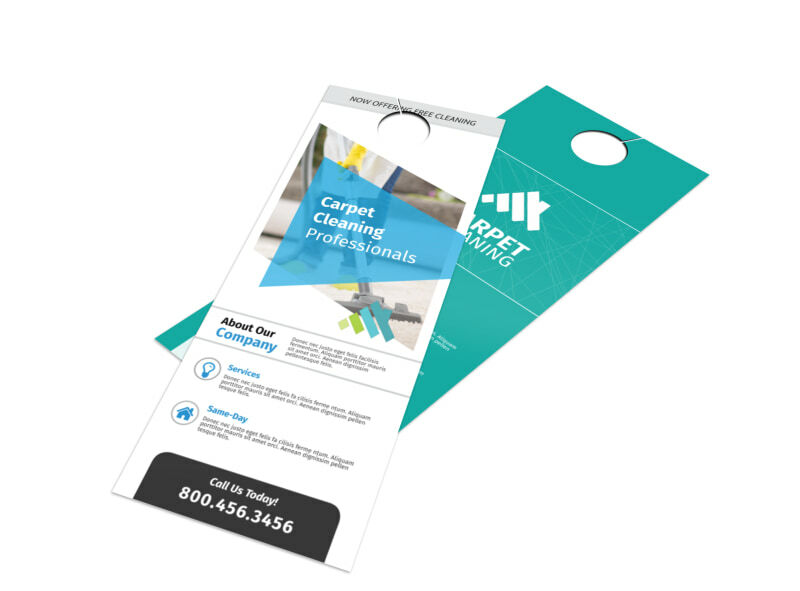 Customize our Outreach Carpet Cleaning Door Hanger Template and more! 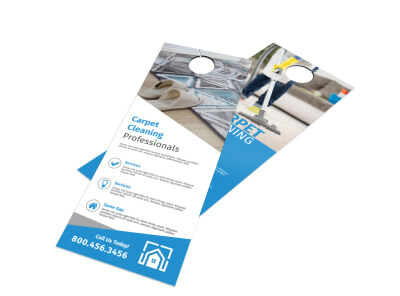 You're a pro when it comes to making old rugs look like new again, so let the locals know with a custom door hanger distributed in their neighborhoods. 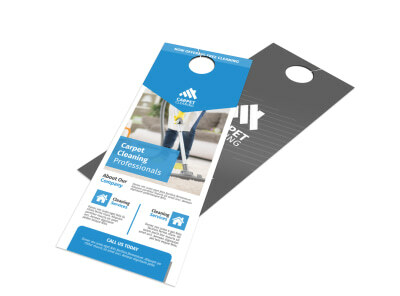 Use our online editor to customize your door hanger with bright colors, catchy images, and bold text to ensure that potential clients take notice of it on their doorknobs. Put down the steamer and get started on your design now.